PHP was originally designed as a server side scripting language. But with the evolution of PHP, it has now become one of the most popular and powerful general purpose languages. As of now it is the programming language behind one third of the entire applications on the web. 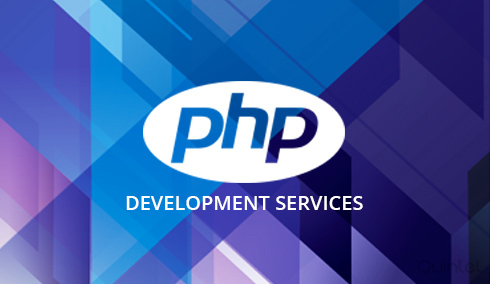 There are many cost effective and time saving advantages to use PHP as driving source for your applications. The main advantages of PHP is that its free, open source, lightweight, cross platform compatible, high performance, security, short learning curve and has a strong community support makes the most prefered language for any websites. Quintet has been developing many applications internet, intranet, windows services and linux cron applications with high security, low latency and heavy traffic for the past seven years. We are well experienced with both the procedure oriented and object oriented scripting. If the customer do not have a preference, we choose the right PHP framework and the database to be used for high scalability and performance during the project design phase itself. With the in depth knowledge we have in different programming styles, we can choose the lightweight or heavy frameworks which will power the application efficiently with high performance. We always use a production like environment with real world servers and data set for the developmen, so that the product performs as expected from the day one after going live. We follow a test driven approach so that the project we deliver is bug free. Unlike many programmers, our first preference would be to prevent security threats like database injection, XSS attacks etc.. We believe in code readability and follow coding standards so that every project is maintainable and scalable by any programmer. There are plenty of open source galleries, CMS, blogging solution which are available ready made in the market. These may not help when you have a unique requirement to keep your business and brand ahead of others. For this we have a great team of PHP developers who will study your requirement and work with analysts who study the market for you and develop custom application. Once you have a clear picture about the solution to build, we will make sure that the project is completed and delivered fully functional within the estimated time. We have an expert team of MySQL admins who work alongside our PHP programmers to make sure that every project using MySQL as its database have proper scalable, secure and high performance design. So you will never have to worry about the bottlenecks of the MySQL connections and the server with the growth of your business. If you are looking for a PHP powered content management system, there are plenty of free tools like, WordPress, Drupal, Joomla etc. All of these CMS softwares are well built and readily usable. But when you need an additional functionality, you may need to develop a plugin or customize to build your own unique theme. Our dedicated CMS developers can develop a solution and integrate the functionality you are looking for. We believe a successful E-commerce should be low latency, high availability, user friendly and feature rich. If a solution is built from scratch the business can go online only after implementing every possible features and this time lost can affect your market presence and customer base. There are ready made E-commerce solutions which are feature rich and our team can help you customize and enhance such readily available solutions. But if you need to develop a custom E-commerce application, we can guide you to follow agile methodologies and complete the features step by step without losing your early market. You may be having great ideas and looking for a full time PHP developer to realise your projects. Our programmers follow agile with scrum methodologies and have good communication skills. You can hire a developer from Quintet and prioritize tasks using any project management tools at your disposal or mail us. You can directly keep in touch with your developer and get things done as needed. There are situations when you may have a PHP project which was fully/partially developed by some other programmers and you would like to stop their services. You may be completely unaware of the technical sides of the project. We can quickly identify the logics and the architecture of the application and complete it or maintain it efficiently as required. There is no need to worry about losing your customers.